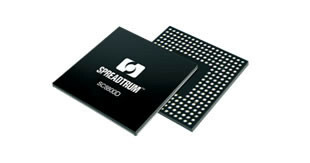 The Spreadtrum SC9830A is an entry-level ARM-SoC (System on a Chip) that is intended for low cost Android-based smartphones with LTE support. It integrates a quad-core Cortex-A7 CPU clocked at up to 1.7 GHz, the ARM Mali-400 MP2 graphics card, an LPDDR2/3 memory controller and an LTE radio. The CPU performance of the four Cortex-A7 cores are on par with other low-end SoCs like the MediaTek MT8389 and therefore sufficient for daily low demanding tasks like apps and surfing. The SoC is produced in 28nm and thanks to the low power Cortex-A7 cores, the power consumption is rather low and also suited for small smartphones.